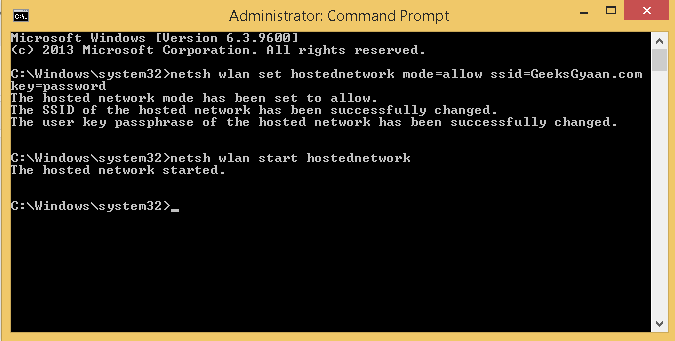 We are going to use command prompt to set up a hosted network, so run command prompt as administrator. 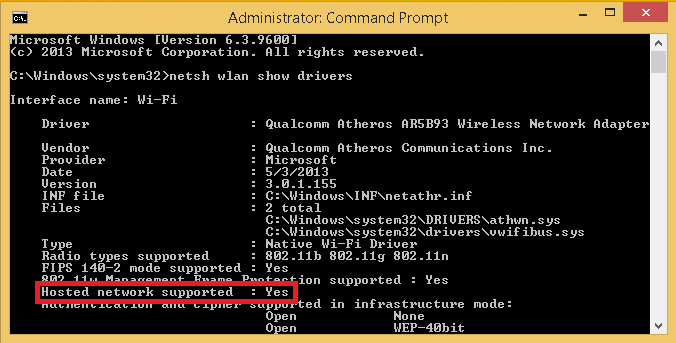 If you see Hosted Network Support : Yes then we can setup hosted network incase its no then make sure your WiFi adapter is enabled. In this step we are going to create a wifi hotspot connection. 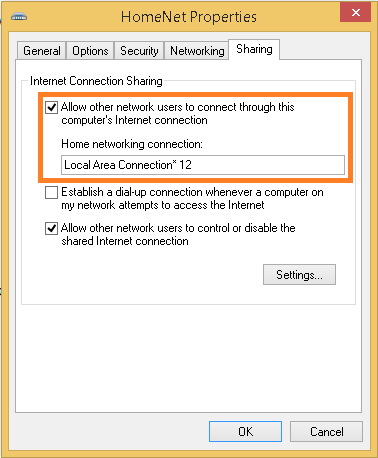 Type the following command to create the hotspot connection. 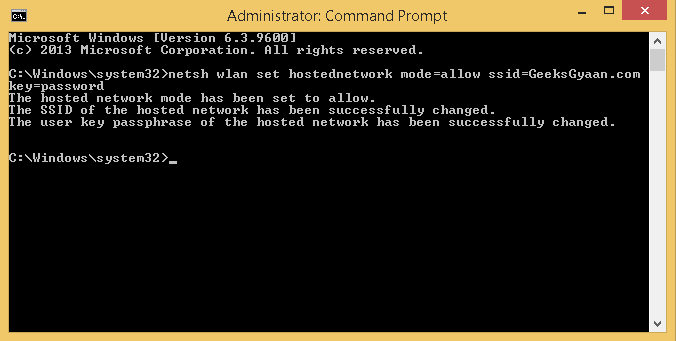 Now replace <Name if Hotspot> with your desired hotspot name and <8 character password> with desired 8 character password. We are almost done, we just need to start the created hotspot connection and allow internet sharing. 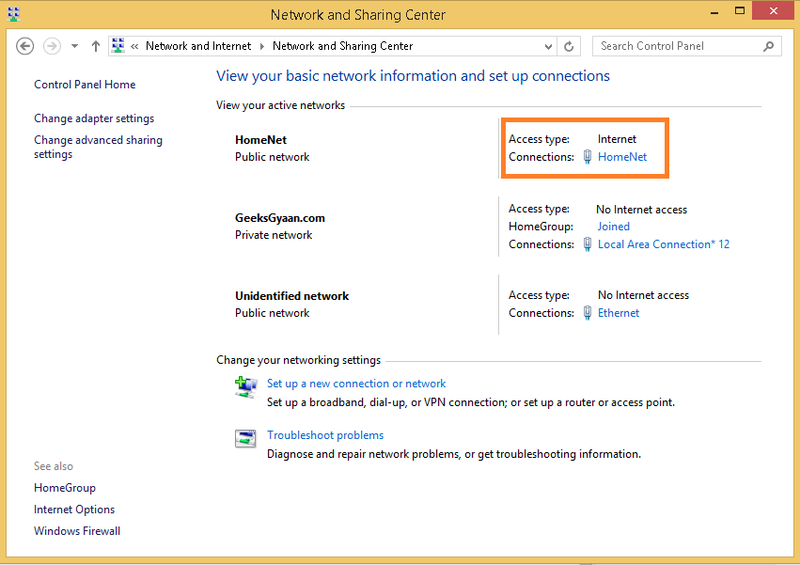 We have created a hotspot connection now we need to share our active Internet Connection. 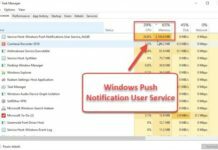 So go to control panel – Network and Sharing Center – View network status and task, there you can see a number of active networks as show below. That’s its now sit back and enjoy your wifi hotspot connection. 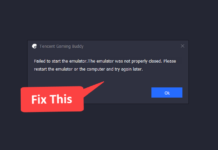 Note – If you are getting “A Lan Connection is Already Configured with IP Address” error while sharing internet connection then check out How to Fix it ! Its always boring to run command prompt as administrator and type the command to start the hotspot every time, so what we can do is create shortcut of the run command. 3# Click Next and hit finish, Now we want the shortcut to always run as administrator. 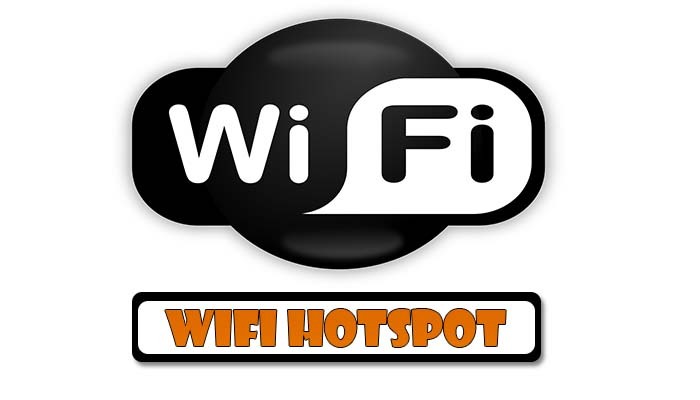 4#So right click the shortcut – go to properties – click on the shortcut tab – Advanced – Check Run as administrator and click ok.
Now you can alway start your wifi hotspot with just click.